There once was a sad and lonely chameleon that had no color of his own. All the other animals had colors; the pigs were pink, the elephants were gray, the parrots were green, and so on. Chameleons change color based on their surroundings and this chameleon in the story is confused why he doesn’t have a specific color. He thought if he stayed in the same place forever he would achieve a color. So, he decides to sit on a green leaf and became green, however, when the fall came and the leaves changed colors, so did the chameleon. He experimented by going from place to place, but the color never remained the same. Finally in the spring, the chameleon meets another one of his species and told him why he was sad. The other chameleon tells him thatobtaining one color is not possible, but offers to become his friend. They then traveled from place to place and although they would change colors, they did it together making the situation not so bad. 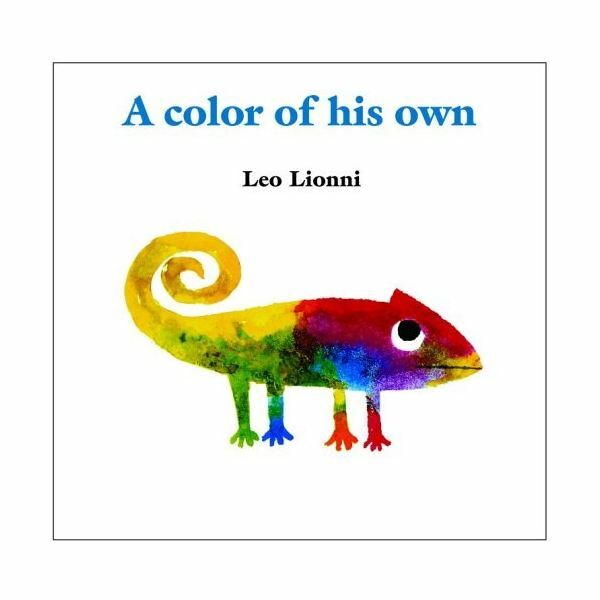 This story written by the famous children’s author, Leo Lionni, helps children to understand that we are all different and yet in some ways we are all the same. And sometimes while searching for our identities, we meet friends along the way. 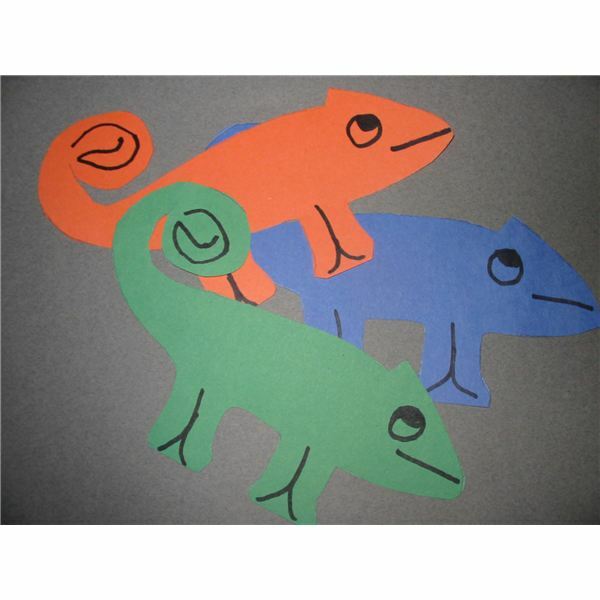 Have the children trace around the template and cut out chameleons of every color. Give the cut-out chameleons to one half of the children in the class to hide. The other children must leave the room. Instruct the children to hide the chameleons in plain sight, but on objects that match the paper chameleon's colors. The chameleons should blend into the background. Bring in the other group of children and challenge them to search for the hidden chameleons. When all are found, play this game again switching groups. In a cooperative way, have each child choose a color they love. Provide paper and invite them to sponge paint these papers in their color with diluted tempera paints. When everyone's pages are dry, use a template and cut each paper into a chameleon shape. With crayons, instruct the children to draw in facial features. The last step is to ask the children about their chameleon and hopefully their answers will relate somewhat to the book A Color of His Own. As the children dictate their sentence, an adult can write it on each chameleon. Staple the pages into a booklet for the entire class to enjoy. Cover all stapled areas with tape to protect the children's fingers from sharp points. Recite this color rhyme to your class. (With repetition, the children may learn it and recite with you.) Invite them to follow your actions. Point to the color you recite as you do the movement. Put your finger on your head. Put your finger on your shoe. Wave your hand so that you’re seen. Give a smile like a happy fellow. Turn your smile into a frown. Stamp your feet with all your might! After reading Lionni's book, ask the children to draw a self-portrait to emphasize his/her uniqueness. Also encourage each child to choose a color that will be his/her own. Have the children add this color to their drawing, for example the clothes they wear. As the children participate in A Color of His Own preschool activities, this book's message enhances self-esteem. Remember that we are all different and yet still the same! Images provided by Tania Cowling, all rights reserved. Activities are from personal experience.